Every student deserves to have an education with content that is accessible and meets their needs. Unfortunately, this doesn't always happen. It is important to consider the needs of every students, everyday, throughout the year. 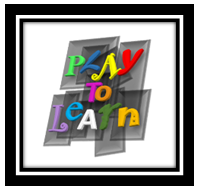 Game based learning programs cater to different learning styles and language abilities. This aspect works to ensure academic success and equity among its participants. Universal Design plays a big role in game based learning because it provides content through different means of communication. Programs like i-Ready individualize lessons based on student needs and works to fill in learning gaps to make a more comprehensive education for all.